When Gladys Berejiklian is asked if she's married, this is her answer. 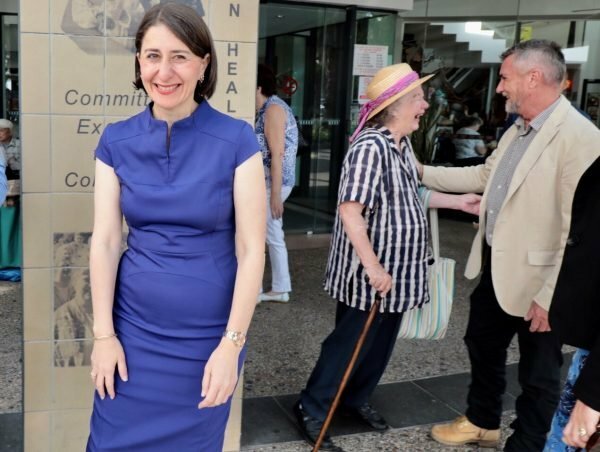 As the Premier of NSW, Gladys Berejiklian has earned a reputation for being private, professional and exceptionally hardworking. It’s a stereotype that some use against her; those who want her to be less guarded, and more open. But speaking to Mamamia, she says she made a conscious decision early in her political career to maintain her privacy. “I’ve seen phenomenal women on both sides of politics come before me, and no one is focusing on their policies and what they did,” she said. “I just made a conscious decision – I watched that, I watched these other women and what these other leaders went through. 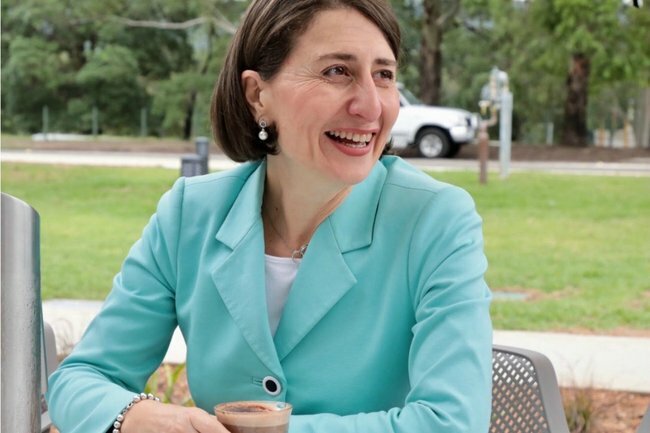 NSW Premier Gladys Berejiklian. Image: Supplied. "I&apos;d rather be regarded as boring or a workaholic rather than detracting from my role. Because I am not embarrassed to say, I do a good job and I do it a lot better than a lot of men would." It&apos;s been one of her opponents&apos; favourite things to poke holes in, even some colleagues have called her reluctance to talk about her private life a &apos;weakness&apos;. So in recent weeks, she&apos;s let the veil slip. She does after all, have an election to win. "I think it&apos;s important for the public to know what makes someone tick. I think it goes with having the so-called top job," she admitted. "It&apos;s important to know what my life experience is, and what I bring to the role." Speaking of women in politics, Jacinda Ardern has redefined what it means to be a leader in a time of crisis. Post continues after video. Premier Berejiklian&apos;s history is astounding. Her family were victims of the Armenian genocide in 1915, all four of her grandparents were orphaned. Her parents moved separately to Australia where they married and had three daughters. A young Gladys couldn&apos;t even speak English when she started Kindergarten, her parents spoke Armenian at home to preserve their heritage. Reading her history - you can understand where she got her resilience. "They taught us [my parents] every day to remember how lucky we are and not to take a single thing for granted. And to most importantly give back and be involved in the community. "I always say to myself if it&apos;s not life or death don&apos;t sweat. Everything has a solution," she explained. This resilience and drive is further fuelled by the fact she had a twin sister, who didn&apos;t survive childbirth. Just another reason for Gladys to seize every day, and push herself to make the most of her life. Ms Berejiklian only agreed to tell this story recently, if her mother Arsha volunteered it in an interview, which she did quite willingly. "People around me said, you&apos;ll never get into politics, you&apos;re the wrong surname, wrong gender, wrong this, wrong that. I didn&apos;t have one positive thing going for me. But I had this inner confidence to know I wanted to make a difference. Even those close to me were worried about me but I knew I was capable and wanted it," she told Mamamia. 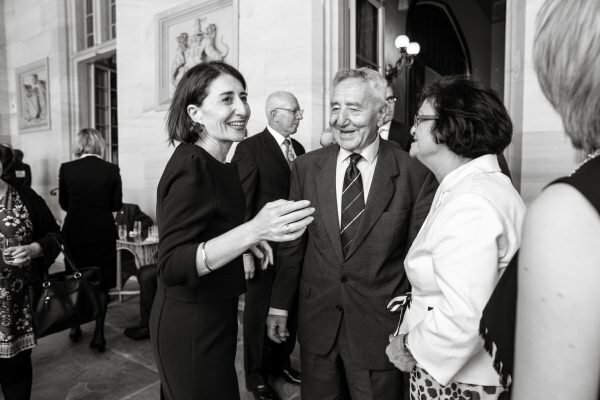 Gladys Berejiklian with her parents after being sworn in as Premier. Image: Supplied. It&apos;s this self confidence and tough skin that&apos;s helped Ms Berejiklian rise the ranks of a particularly tricky professional ladder. One where you&apos;re constantly on display and always being judged. She hates the fact that female has to come before Premier, and that her gender is a constant source of conversation. "When I visit schools the boys and girls think nothing of getting a male or female Premier. They&apos;re from a different generation. I want them to grow up continuing to have those views. That won&apos;t happen if we still make it a novelty when a woman gets to a senior position," she said. She thinks Me Too helped get overt sexism out in the open, but it&apos;s the covert and unconscious bias that she thinks has a long way to go. When it comes to the idea of balance and that &apos;women can have it all&apos;, Ms Berejiklian laughs. "I don&apos;t think a day goes by where you aren&apos;t thinking about stuff like that and for me I have also learnt - people might say why did you choose to do this or choose to do that. Sometimes you don&apos;t have a choice," she reasoned. Ms Berejiklian doesn&apos;t have a partner and doesn&apos;t have children (although she does have six godchildren) but it&apos;s something that she finds women are curious about. "I think if an opportunity comes up you grab it. If something happens and you need to make a decision, make it. Had I met the right person? Of course I would be married. But that doesn&apos;t happen for everyone at the right time. "People are interested I get it, but people shouldn&apos;t make assumptions about what decisions women make or don&apos;t make. It might not be because they haven&apos;t tried, or don&apos;t want to, it&apos;s just happened this way." It&apos;s something Ms Berejiklian used to wonder about when she was younger. "I wanted to know women&apos;s experiences. So you can somehow confirm or change your view - I get it (people&apos;s interest)." 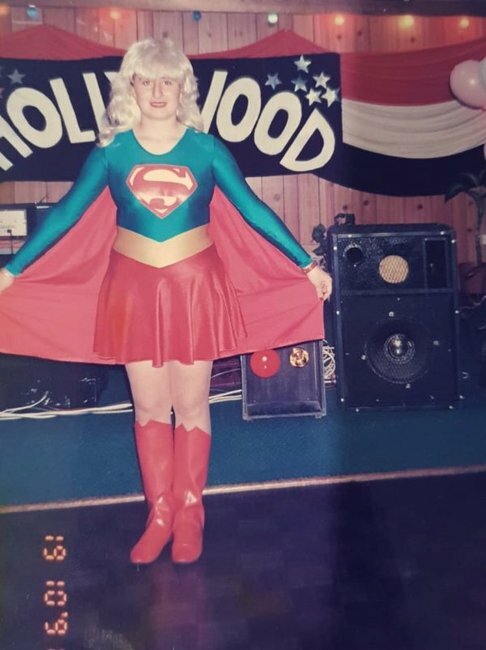 Gladys at her 21st birthday party. At 48, she&apos;s learnt a lot, but even then she was confident and stuck to her guns. Image: Supplied. For now, as Premier, balance is non existent. Ms Berejiklian loves opera, reading a good book, and enjoying a glass of wine like the rest of us after a big day. But she&apos;s very aware that right now, she&apos;s married to the job. She&apos;s perfectly happy with that. As for the constant stream of critics, and the criticism within her own head, she has a very clear mindset. "Never change who you are, people can take it or leave it. Don&apos;t feel you&apos;ve got to conform, don&apos;t feel you&apos;ve got to wear the latest trend. Don&apos;t feel you&apos;ve got to keep up with things. Just live your life honestly. "There&apos;s so much pressure to be a certain way, or look a certain way, to act a certain way and have things done by a certain age... just do what&apos;s right for you." As for being a woman in politics Ms Berejiklian hopes in the future, gender isn&apos;t even a consideration. "Hopefully in the future it&apos;ll be normal. Breaking through the novelty, hopefully normalises it," said the Premier.